The area around City Gate and the Triton Fountain outside the walls of Valletta served as the meeting place for teenagers for many years. Colloquially in fact, the meeting spots have particular names including ‘tal-casettes’, ‘il-gabbana’, and ‘tal-ħalib’, referring to the stall that formerly sold casettes, the sweet and drink kiosk and the milk kiosk. Imqaret (date-filled street food) and pastries, are also sold in stalls nearby. Among these is the Fontana Kiosk run by our protagonist, ‘Joe tal-Gabbana’. Joe’s been working for 55 years and is still bursting with energy. Lively, friendly and loud, his shouts of “Yes, cold water, cold lemonade” can be heard all around the kiosk area and on the bridge outside City Gate. This same shout features in the ‘Valletta is My Orchestra’ video which explores the sounds present in Valletta giving the city some of its unique characteristics. His store, which sells anything from snacks to tobacco and alcohol, is generally teeming with people around the noon mark. Joe spends over 15 hours a day on his feet rain or shine, serving people their drinks and snacks. He admits it is tiring work, but once he sees a customer coming, he’s filled with energy and ready to help. His service is always given with a smile. 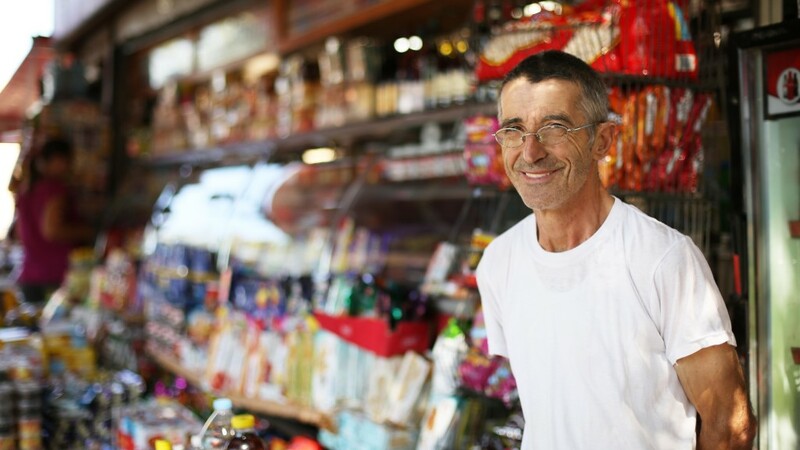 One thing is for sure, the kiosk area would not be the same without his loud shouts and cheerful personality, as he forms part of the many sounds that are present in everyday-Valletta.